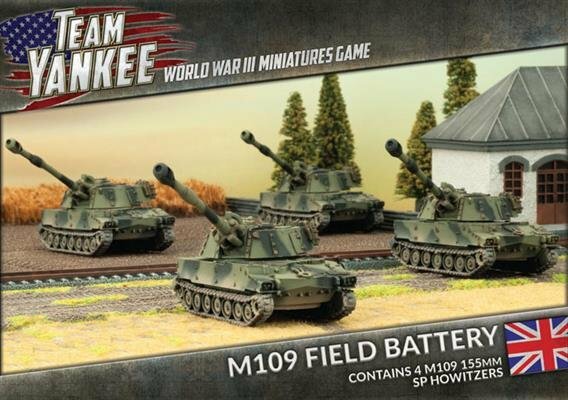 includes four M109 self-propelled howitzers, one resin Tank Commander sprue, one decal sheet and one unit card. The divisional artillery has replaced the Abbot with the American M109 with its 155mm gun. This powerful weapon is called upon when some serious firepower is needed.